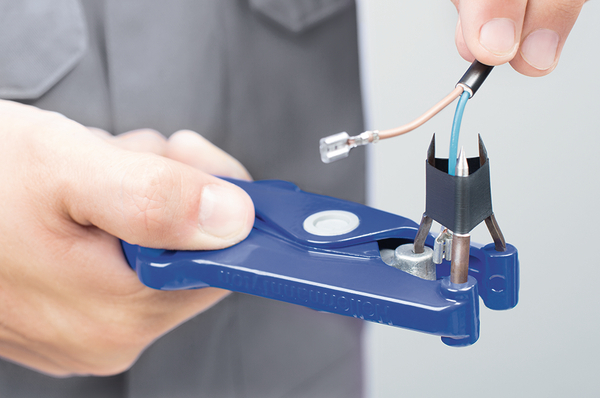 Three-pronged expansion tools are used to ensure speedy application of markers and sleeves. For easy operation, we recommend the use of Hellerine lubricant (Chapter 2.2). The handy D kit contains a tool body and a range of prongs to enable the fitting of sleeves between 1.2mm and 11.5 mm diameters. A small bottle of Hellerine lubricant is also included.